Car accidents are brutal and shocking, in that they cause so much damage in an instant. 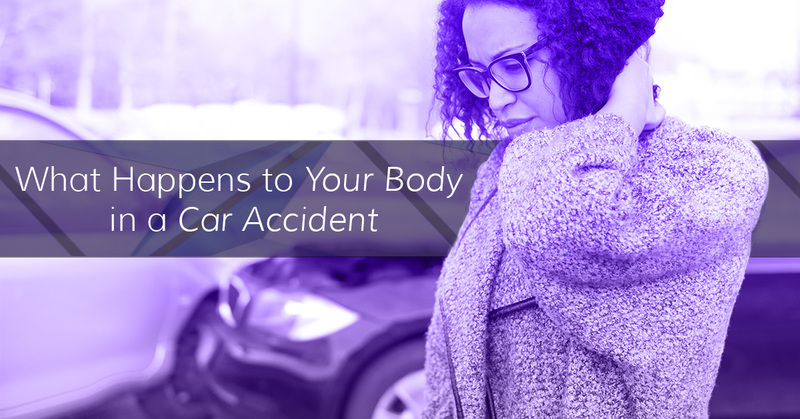 There are many kinds of car accidents and injuries associated with them, but even a fender bender can take your body out of alignment, and inflict unforeseen bodily harm in the future. Not only is there physical harm, but emotional trauma as well. Car accidents play a role in PTSD, major depression, and anxiety disorders. For both physical and emotional trauma, seeing a chiropractor after a car accident will aid in recovery. 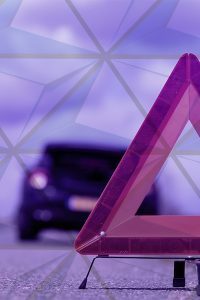 Different types of accidents affect different parts of the body, below are examples of the different types of car accidents. The rear-end crash results in impact from the back (tailgate) of your car. This type of accident can cause injuries to the chest, head, neck, and spine. If there are passengers in the back this can cause bodily injury from force, or if they’re not wearing seat belts, there is a chance that they’ll go through the windshield. In lower velocity impact, whiplash may occur; monitor yourself closely as symptoms are delayed and may not appear for up to 24 hours. In the head-on collision, two cars make impact from the front of the vehicles and cause damage to the chest and lower extremity damage. Major injuries to the head and face can happen if occupants are without a seatbelt. These injuries are a result of hitting parts of the vehicle such as the steering wheel, dashboard, instrument panel, or side windows. The T-bone crash, where one car is struck on the side and the other has impact to the front causes serious injuries at both low and high speeds. The occupants struck from the side have injuries ranging from the head and abdomen area, to lower limbs and head trauma. The occupants in the car that makes a frontal impact will likely have head and chest injuries. In these types of car accidents, the body absorbs abrupt impact and jerking. Because the body is not fully equipped to withstand it, this results in spinal injuries. Whiplash is one of the most frequent injuries from car accidents that chiropractors see quite often. This injury is a result of sudden back and forth jerking of the head, and untreated whiplash can cause issues in the alignment of your spine and decreased range of motion in the affected muscles. Herniated discs are a result of damage and strain to the spinal cord. The disc applies pressure to both the nerves and spinal cord, and slowly leaks a jelly-like substance when compromised. Seeing a chiropractor for automobile accident related injuries can help your recovery by realigning your vertebra in your spine and by treating herniated discs through spinal manipulation, physical therapy, massage, flexion-distraction, and pelvic blocking. If you’re in need of car accident chiropractic care, contact Eshanov Chiropractic today!